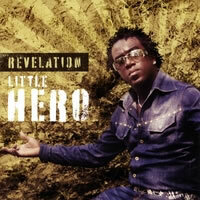 (February 2, 2009 – Miami, Florida) Zojak World Wide is proud to congratulate dancehall reggae artist Little Hero for debuting atop the Billboard Reggae Album Chart the week of January 25th. Revelation, Little Hero’s first ever album, beat out UB-40, various artists named Marley and Grammy nominee Heavy D on its way to the top. Revelation is now available on I-Tunes and e-tailers world wide. Featuring stand out tracks such as the timeless “Inna Di Ghetto” and the more recent “Praise God”, Revelation’s success should come as no surprise. In 2008, “Praise God” held the top spot on the VI Top 20 Reggae Chart, the New York and the South Florida Reggae Charts. Regular touring has also contributed to Little Hero’s achievements in and outside of Jamaica which is reflected in the broad selection of 15-tracks. Released on Delroy Roberts’ Inspire Records imprint, the next single from Revelation will be “King Solomon World”. Recorded over an inspirational one-drop riddim, Little Hero energizes the song with conscious vibes and a stirring message of positivity. Recently returned from a Caribbean tour, media requests are flowing in and Little Hero is moving forward with plans to support the album locally and abroad. Fans can expect “more love and more music in 2009,” he says. For music fans who want to know what the buzz is all about right now, Revelation is available online and in stores worldwide.